Yay! Illustrations! The one thing I thought was missing from Fantastic Beasts, it really helped to complete this book. Interspersed throughout, and still only very crude sketches, I was so happy! I know, it probably makes me a child, but if this was supposed to be a proper textbook (as with Fantastic Beasts), one would like to think it would have even the most basic pictures. I can’t imagine as a student of Hogwarts, any of the students would have read a textbook which was non-stop text, with the exception of Hermione of course! 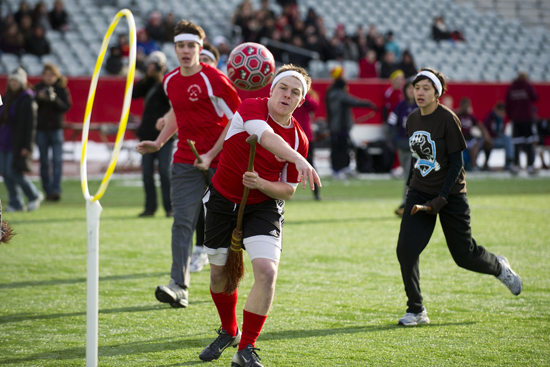 I really appreciated that the history of Quidditch was so thorough, with lovely anecdotes spread throughout to make it super-realistic. As well as the history of the sport itself, it goes into detail on the history of the balls and broomsticks, as well as giving you an overview of the 13 league teams. I definitely preferred this book to Fantastic Beasts, although again, a full illustrated version would certainly be much better!